This 7.5 mm Hradil cable is equipped with 16 lines to control the system and the camera of the sewer inspection system. The Hradil camera cable is compatible with Micro-Rota inspection systems from JT-elektronik and has a diameter of 7.5 mm. 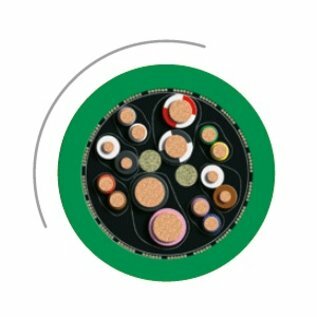 It bundles a total of 16 major control and power cables of different cross sections securely wrapped in a Vectran braid, with a tensile strength of up to 2500 N covered by a very resistant PUR shealf made of a special TPU blend. This cable is well prepared for severe mechanical stress during the sewer inspection process. The use of Vectran in place of Kevlar, in case of damaged spots on the outer shealf, is limiting the penetration of moisture to a maximum of 1%. The usability and durability of the cable is due this constructive specification significantly higher than standard cables with a kevlar braid.